The Head LM Laser racketball racket has a frame that weighs 190g (6.7oz) and is constructed from Liquidmetal for incredible power enhanced by 29% when compared to rackets made from conventional materials. It has a head size of 105in2 (677cm2) and an open 16x18 string pattern that helps generate extra spin. The racket has been head heavy balanced to deliver even more power and greater stability and is supplied equipped with the Softac grip ensuring improved comfort and great absorption. A full length cover is included for racket protection during storage or transportation. 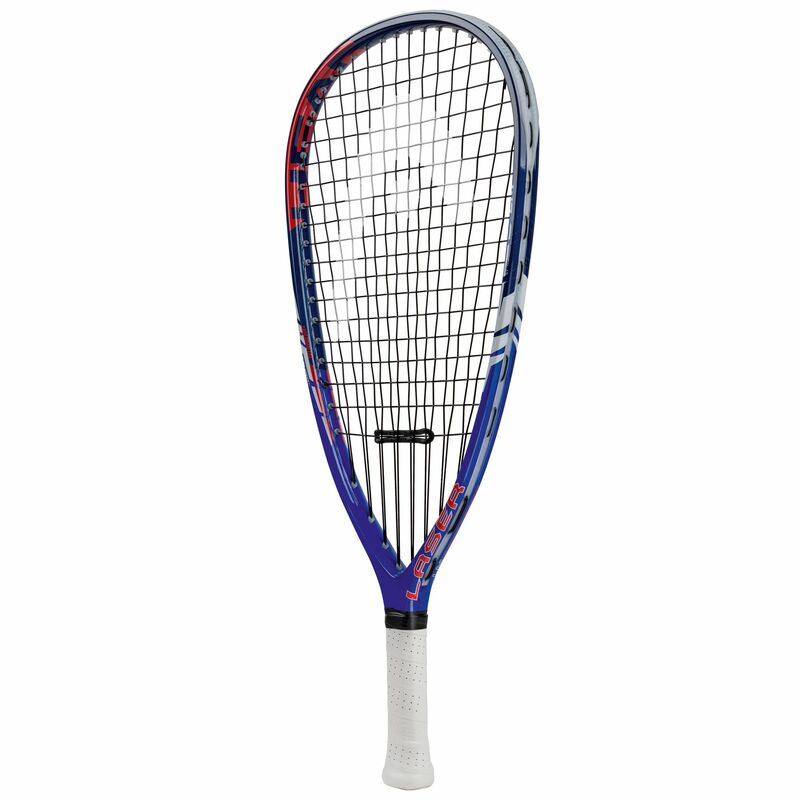 for submitting product review about Head LM Laser Racketball Racket SS14.